There are many good reasons to perform Business Process Analysis – it could be a new strategic initiative such as automation or digital transformation, or simply the need to improve operational efficiency, increase control or gain a competitive advantage. Any such initiative can be a huge success – or it could fail terribly. After all, it’s a long and complicated undertaking. This Checklist can make your job a whole lot easier and ensure that the results of your analysis address your business needs and support the overall strategic goals. 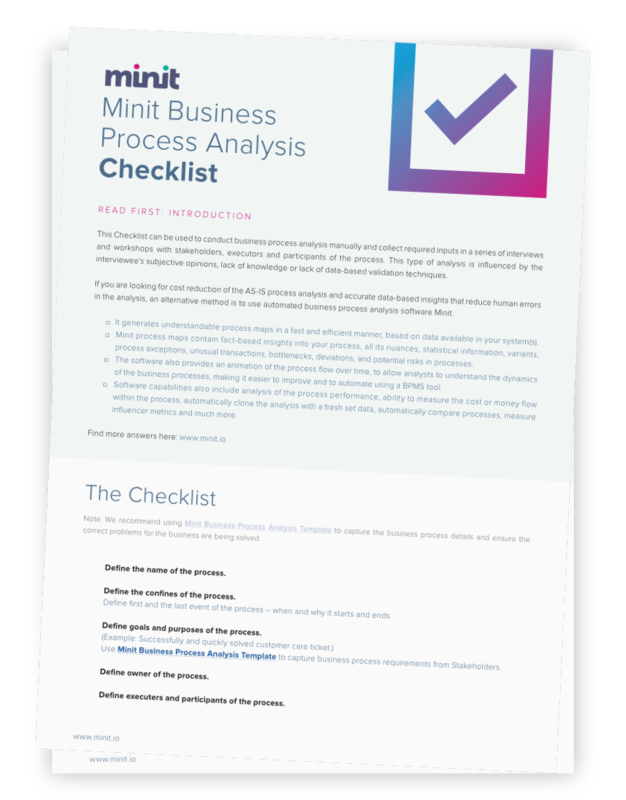 Business Process Analysis Checklist will help you gather insights about your current process and optimise/redesign it according to your key objectives. Using the Business Process Analysis Checklist, you can make sure you have not omitted any crucial steps or any piece of information that can affect the definition and design of the process. Make sure all capabilities delivered are scoped and prioritised correctly. Minit’s CPO Michal Rosik has a passion for understanding how processes happen in reality and for uncovering issues that obstruct peak performance. 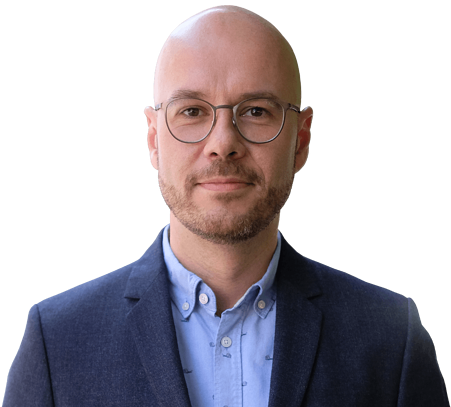 He is an expert in helping companies worldwide extract value from their data, improve business performance and eliminate inefficiency from their operations by optimising their business processes.